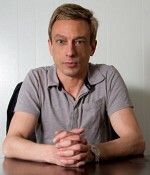 Sterne conducts a series of interviews of possible personal assistants. To be considered each candidate needs to show his ability to take a spanking. Little do these applicants realize Sterne has more than five years spanking experience. Get up close and personal with these twinks rigorous Sterne Interviews.